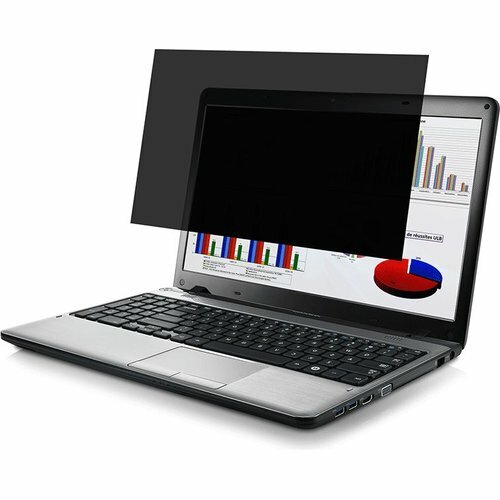 PORT Professional Privacy filters are designed to preserve the confidentiality of the information displayed on a computer screen. Once positioned, only the user located in front of the screen is able to view the information and anyone located laterally at more than a 30 ° angle from the screen will see anything other than the black opaque filter. Perfectly adapted to mobility, it ensures the confidentiality of computer screens especially at work and during travel: ideal for offices, open spaces, airports, airplanes, trains, cafes and other public places. Work productively anywhere without worrying about prying eyes. Very simple to install, it can be removed and repositioned to infinity in a moment to share your screen with others. Thin and durable, the filter also provides protection for the screen against scratches, dirt and shocks.